Gold Etched Butterfly Charm Necklace. 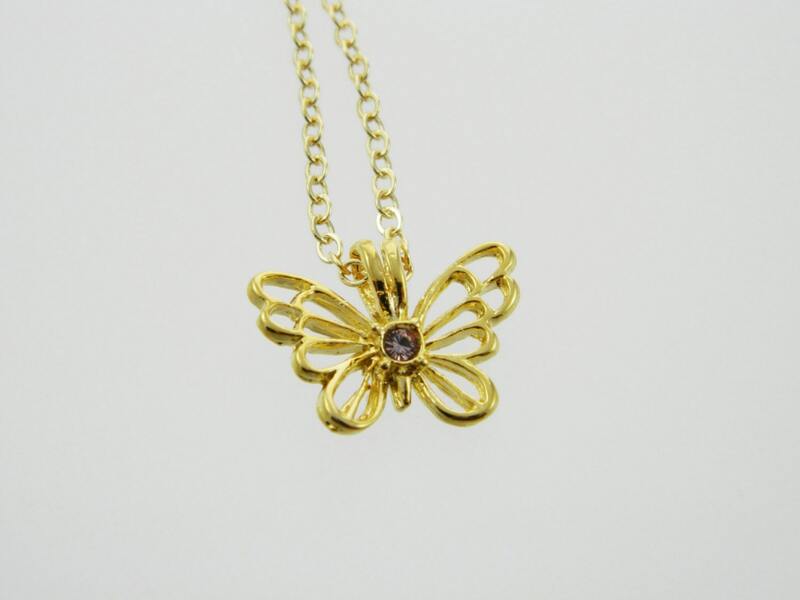 Gold Plated Brass Butterfly Charm with Faux Amethyst Crystal. Never worn, new old stock. Charm Dimensions: 14mm H x 18mm W.
Chain: New Gold Plated Cable Chain with lobster claw closure. Choose from 16"or 18” chain length. Paypal, Credit Cards and Etsy Gift cards are accepted. All Items are shipped via Canada Post. Our store is located in Canada and all orders ship out from Canada. US and International customers are responsible for taxes and/or fees claimed by Customs. Please note that customs fees widely vary by country and region. For any concerns about customs charges we advise you please check with your local customs office for estimates on customs charges and any handling fees they may charge. Exchanges and returns are accepted if an item is damaged upon customer receipt. The item must be returned within 7 business days after customer receipt. Shipping costs are not refunded. *Clearance Items and products marked 'As Is' or 'Final Sale' are not eligible for return or refund. Please double check measurements prior to placing your order to ensure that you are satisfied with your purchase. In order to obtain refund customer must return products.